﻿ Car Mechanic Simulator 2018 - Unlocks at What Level? Home » Guides » Car Mechanic Simulator 2018 - Unlocks at What Level? What game features unlock at what level? This guide attempts to put all this information in one place. Level 1 - Parking. One level. You can buy more. Level 4+ - Garage Level II Upgrade. Adds test path and repair bench to your garage. The test path is in your shop, through the red metal doors by your repair bench. Here, you can find bad brake parts, bad bushings, shocks and other suspension issues. But not all. Level 6 - Barns. Go to purchase cars in mid to poor condition. Typically no more than 1 or 2 cars available. Also random used parts. Note, you might receive a map to a barn earlier than level 6, as a reward for a special customer job. Level 12+ - Garage Level III Upgrade. Adds 2nd lifter and parts warehouse. Also the engine lift and stand system, for you to lift an engine out and repair it on the engine stand. Level 12+ - Garage Cusomization. 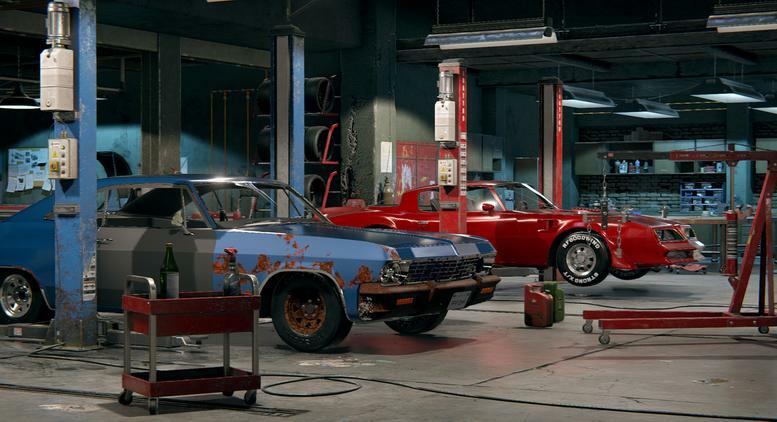 From now you can customize your garage. Level 13 - Junkyard. Go here to purchase mid to poor condition cars and random used parts. Like a very large barn with a larger selection than a barn, typically 6-8 vehicles. Level 19 - Auction. Go here to bid on an assortment of cars in good condition (but not perfect). Usually about 10-15 cars available at an auction. Level 30+ - Garage Level IV Upgrade. Adds paint shop, a third lifter, a welder (to repair car frame) and cleaning / detailing tools (to improve interior condition). Also a battery charger, to magically make old batteries new. Later on, Red Dot will add a Dyno. This is the level you have been waiting for: At last you can get cars looking nice, and to 100% condition in all 4 areas (parts, body, interior, frame). Imagine, a $100 cleanup job can increase the value of the car by $5000. I kid you not. Level 35+ - Able to repair car body parts --doors, bumpers, etc. This should allow you to fix any car to 100% without having to buy so many new parts. Level ?? - Photo Mode. (See Pie Menu) For taking advanced screenshots from better angles, more photographic features etc.